What a great opportunity for a permanent reminder and to express appreciation and gratitude to your doctor. Saying thank you sincerely is one way to do that. 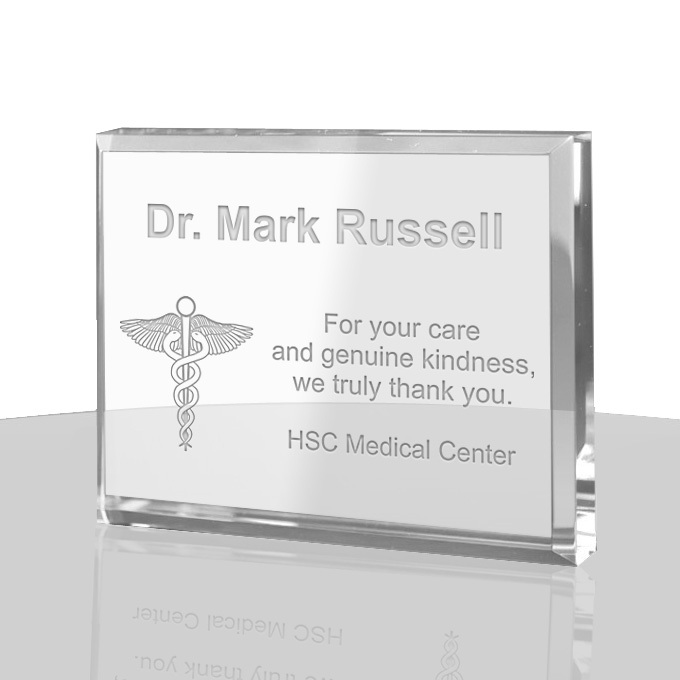 Displayed on their desk, this engraved name plaque will surely delight and reward your recipient. Desk name plates are one of the best accents on someone’s desk. 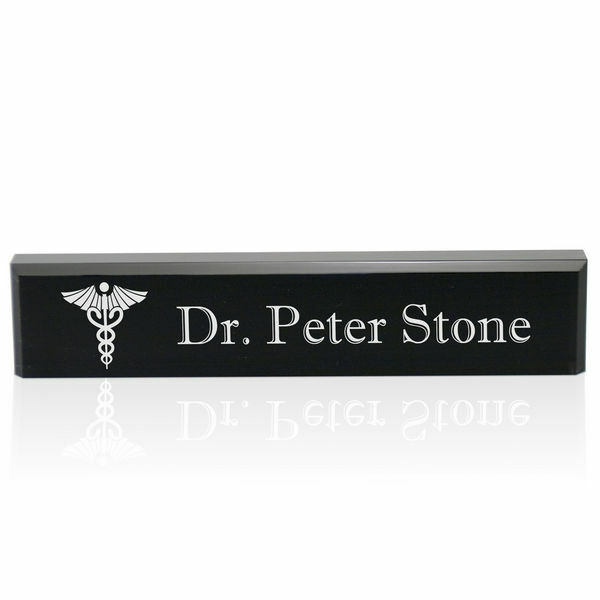 Help them adorn their desk and proudly display their hard work with this elegant name plate. This gift shows how much you appreciate their knowledge and genuine care for your well being that you’re world’s greatest doctor has done for you. 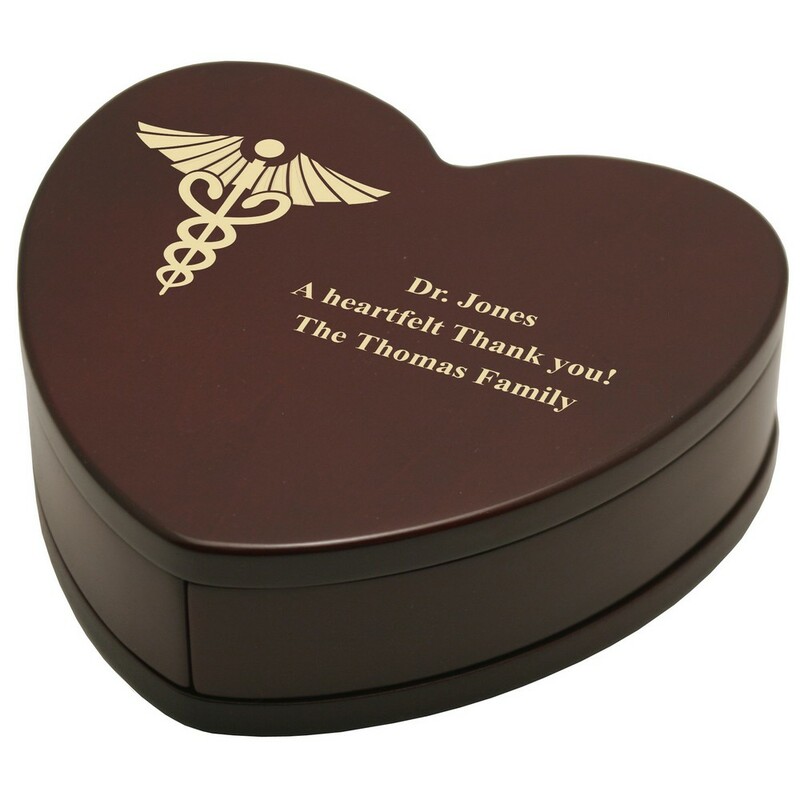 Show your heartfelt appreciation to a remarkable and committed doctor, with this adorable, yet professional heart shaped keepsake box. Crafted out of the highest quality rosewood, it is sure to compliment any home or office decor. 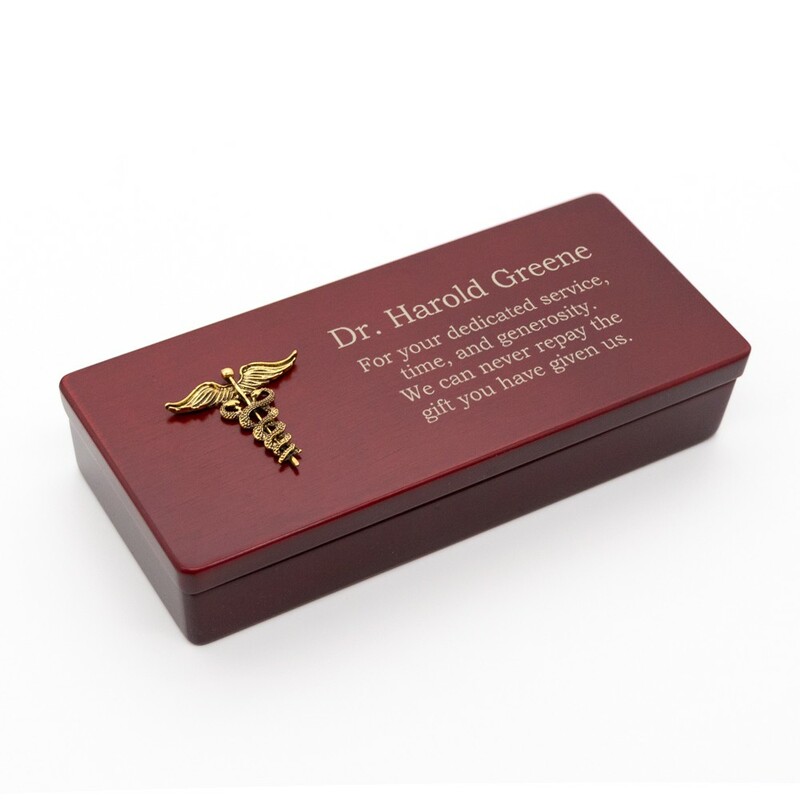 Our heart-shaped Personalized Medical Keepsake Box will indefinitely emulate the “heartfelt” recognition that you show for your favorite doctor or medical professional. 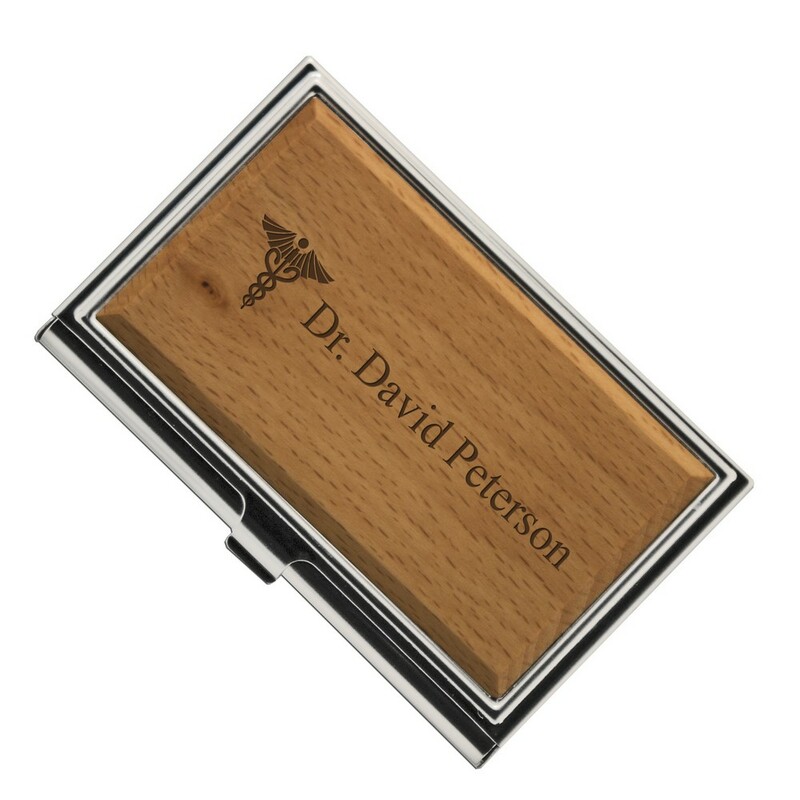 To find a gift that is useful and unique for a business minded Doctor, business card holders are one of the most popular, useful and efficient items to give to any professional medical person. The best feature of this unique item is that you can choose other medical symbols for all medical professions to thank all of your doctors and specialist. 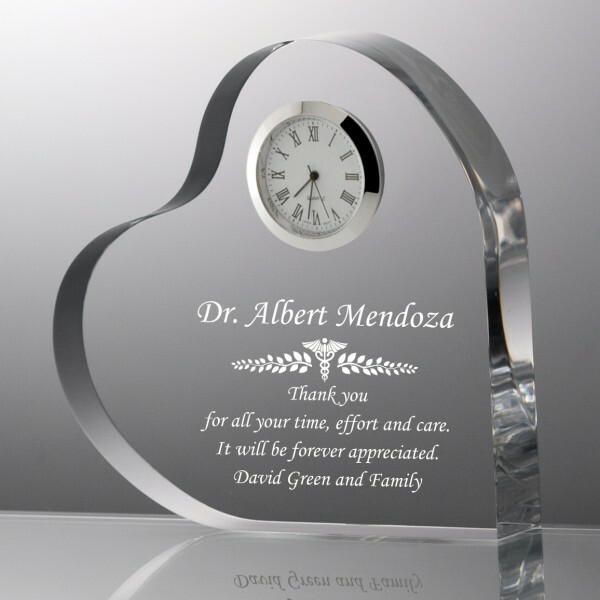 Custom acrylic plaques can often be fantastic gifts that are appropriate for all Doctors and medical professionals. Giving a Heart Award is a great recognition and truly a heartfelt thank you for an exemplary dedication to quality patient care that your doctor has provided you. Doctor’s offices include countless amounts of medical literature. 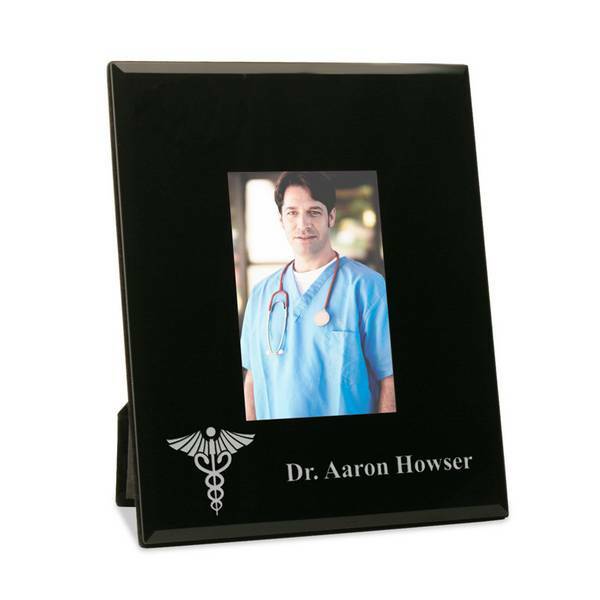 Help your beloved doctor organize all of this knowledge with these Black Marble Triangle Bookends with caduceus. 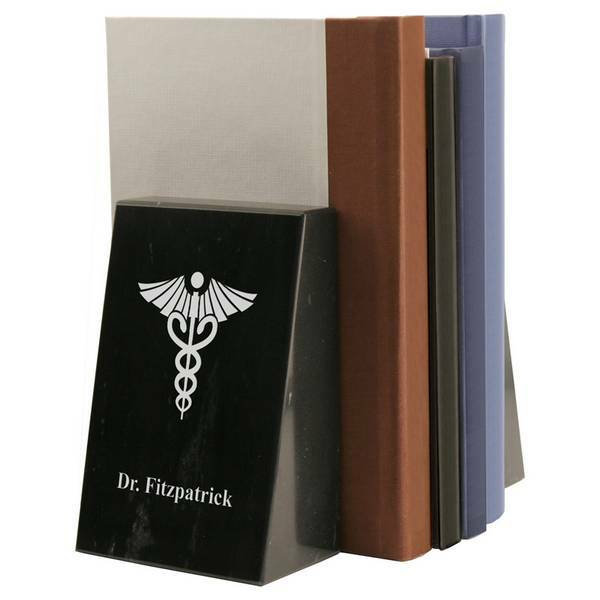 These handsome bookends will compliment any office decor and are sturdy for those heavy duty medical books. Dear doctor “I couldn’t have done it without you.” This photo frame simply expresses your gratitude for everything and anything your doctor has ever done for you. 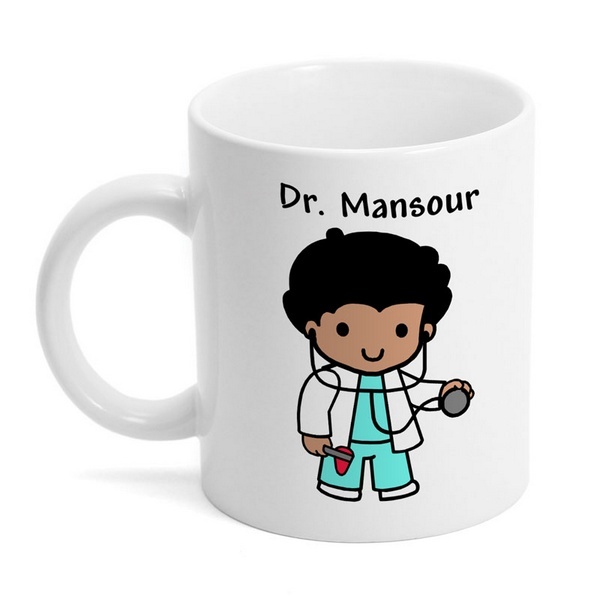 A simple, classy and modest gift for a professional doctor. Reusable aluminum bottles are a good choice for the active Doctor. They are BPA free, and Eco-friendly. The original Doctor design makes it a personal and useful present with a surprising and funny twist. 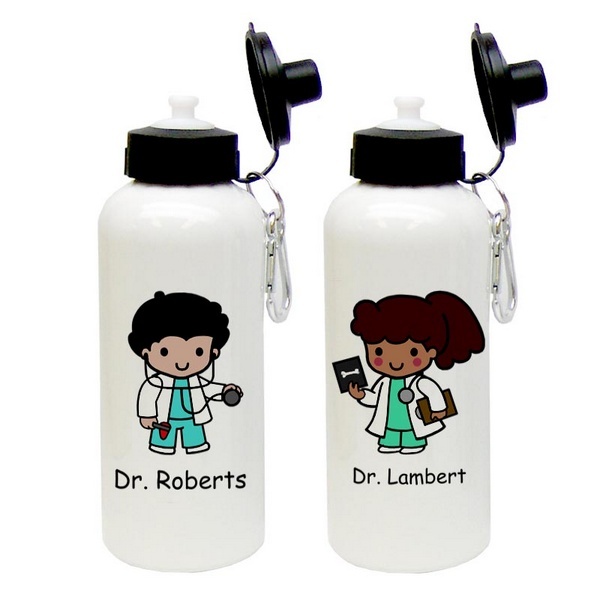 When it comes to Doctor Appreciation gifts, nothing works more like a charm than giving out Custom Doctor Character Coffee Mugs, will surely bring a smile to the face of your favorite Doctor. Coffee or Tea, Help them start their mornings, or nights off right! Who can resist the charm of a personalized pen and when it comes as a gift; it is indeed a very pleasant surprise. Carrying a pen designed specifically for you give a special high which cannot be expressed in many words. The personalized message on the display box can truly convey your gratitude.